HARMAR TWP., Pa. — Central Catholic rode a strong third period receiving goals from Joseph Palahunik and captain Jacob Bon to a 5-2 victory over Butler on Tuesday night at Alpha Ice Complex. Nicolas Castracani and Ronan Miller exchanged goals :20 apart in the wide-open first frame to keep the two teams at a stalemate. John Null and Connor Bachman repeated the feat in the second with just over two minutes separating the tallies. 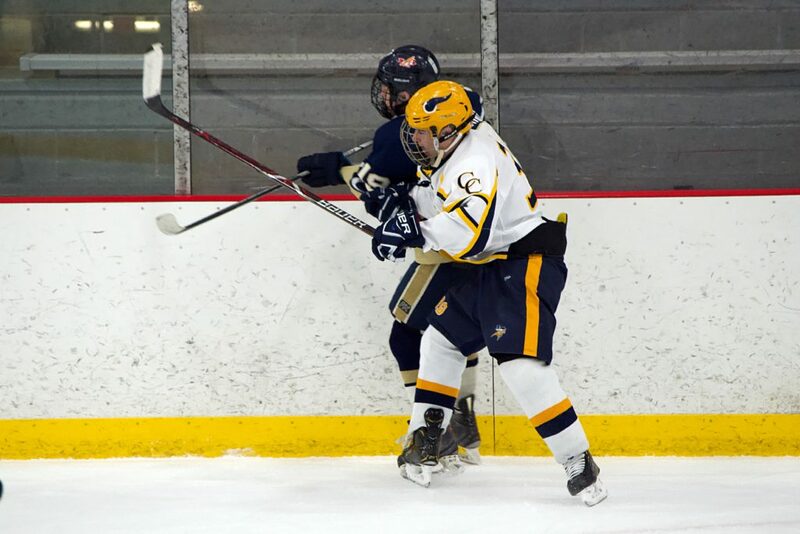 Palahunik and Bon struck the scoresheet early in the third for Central Catholic, and Null capped off the night for the Vikings with an empty-netter late. Theo Caloyer finished the night 17-of-19 in the save department while Hayden Wheeler stopped 38-of-42 shots that the Vikings threw at him. Central Catholic clinches the No. 5 seed in the Penguins Cup playoffs with the win, and will meet the Mt. Lebanon Blue Devils in the first round. The date and time for that matchup will be announced sometime in the next two weeks.